Coin weights shining under a rock in a river. Once nestled inside a woven glove. Placed in speed, the textile rots, is washed away. The metal remains. Held by gravity and the memory of a net. Waiting to be found. Given new contexts, new values, new stories, new meanings. What do we lose and what do we find over time as contexts shift and owners change. ‘Hoard’ actively explores our relationship with objects and how we read them as they knit together with our own personal experiences and narratives. These lost contexts and ambiguous groupings offer the potential for poetic forms to emerge. I'll be visiting the space throughout the exhibition period to re-group and re-assemble the forms, blending further elements and materials to offer a series of possible final readings. Visitors are invited to create their own versions of these artefacts in the gallery space to add to an ever growing public hoard of offerings. New Ashgate Gallery showcases the work of 12 current Crafts Council's Hothouse Alumni. I'll be showing a range of both table and wall based works. 'Bringing together 17 practitioners from the fields of design, jewellery, ceramics, metalwork and sculpture Ambiguous Implements presents a collection of contemporary works that playfully reconsider the familiar objects of our day to day domestic life'. Ambiguous Implements has been curated by Laura Mansfield in collaboration with Rachael Colley and Nuala Clooney. This touring exhibition will open at Bl_nk Space Gallery, Roco on Thursday 6th July 2017 6–9pm, and continues until Saturday 15th July. Open Tuesday to Saturday 11am–6pm. Delighted to have been selected as a finalist for the ICF Potclays Emerging Maker Award at this year's International Ceramics Festival in Aberystwyth. I'll be exhibiting my work at the event (30th June -2nd July). 'The European project Ceramics and its Dimensions seeks to be a part of the rediscovering of the role of ceramics and the bringing forth of the knowledge of the heritage and the different traditions of the use of ceramics'. Founded in 2001 to suggest the direction and visions for the future of world ceramics, the International Competition of GICB is the world's most prestigious international event for ceramic art. 'National Glass Centre presents a new national exhibition of glass jewellery made by bringing together four glass artists and eight of the UK’s most exciting jewellers'. 'As the country’s main centre for glass, National Glass Centre works closely with many leading artists who have a high level of expertise in using different techniques. James Maskrey works in hot glass, Angela Thwaites in cast glass, Ayako Tani in lamp worked glass and Joanne Mitchell works in kiln-formed and waterjet cut glass. These four artists have shared their expertise with the jewellers who have had ten days each to create experimental new work in glass'. My last trip to The National Glass Centre for the final assembling of work. Works currently on show at the Mission Gallery, Swansea (until the 19th February) were created during a residency at Guldagergaard, The International Ceramics Research Centre in Denmark. The forms have evolved from research trips to The Yorkshire Museum and The National Museum of Denmark. Delighted to have been selected for the Crafts Council Hothouse scheme 2017. My Crafts Council Makers Directory Profile is now available to view. I recently exhibited work at the Apple House Gallery in Guldagergaard as part of the Project Network residency scheme. I'm showing new work at the Mission Gallery as part of their Maker in Focus Series. It's on until the 19th February. Delighted to have been shortlisted for the Henry Rothschild Ceramics Bursary Prize. Project Network Guldagergaard - the International Ceramics research Center in Denmark. I'll be developing new ideas for the Maker in Focus exhibition at Mission Gallery Jan-Feb 2017. 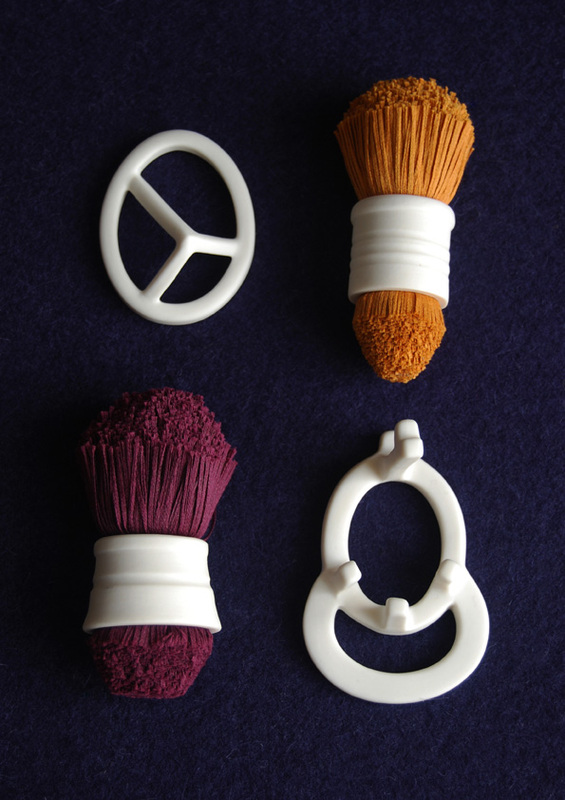 I'm taking part in the Making in Colour exhibition at the Ruthin Craft Centre (1st Oct - 27th November). Curated by Gregory Parsons.